Is your business growing faster than your wallet? Are you building sales in your business, but not seeing a corresponding increase in the size of your wallet? Do you wonder if you’re spending money the right way to grow your business? Do you wish you had a clear plan to manage the cash you are generating? Addressing these issues now will help you get the financial business results you are looking for in 2018! Myths about profitability and how Profit First helps entrepreneurs debunk those myths in their business. How to make profit assesments, create a snapshot of your current situation, and plan for your future. Managing cash flow and the Profit First habit. Monthly Group Call: Our call includes Profit First and profitability training, followed by an open Q&A session. Private Facebook Group: Ask questions, get support, receive on-going tips, and celebrate successes! Profit First Boot Camp includes a complimentary 90-day Spark Your Profit Club Membership, leaving you well equipped to boost your profits fast! 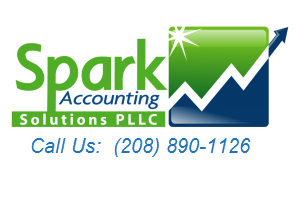 Julie Babcock-Hyde, certified Profit First Professional and owner of Spark Accounting Solutions, helps ignite clients’ businesses by using their accounting data to help them improve their profitability. As one of the few firms in the nation certified in Profit First, Julie and her team love to work with small to medium businesses to help them understand their accounting information, and use that information to grow their profits.